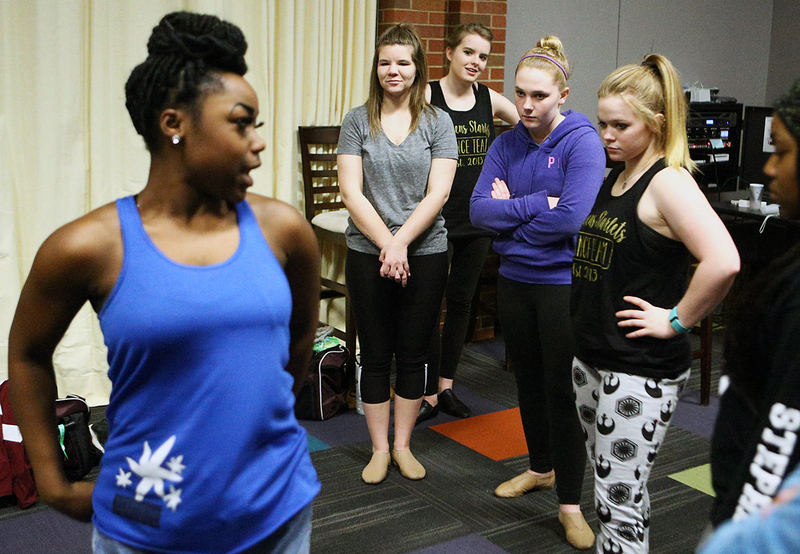 Destiney Lockhart (cq), left, demonstrates a movement to other members of the Stephens Starlets on Wednesday, Feb. 10, 2016, in Stamper Commons at Stephens College. Lockhart is the captain of the Starlets. “As a leader, she is fantastic. I can let her lead warmups. I can pull her out when I need another eye (on the routine),” Coach Danyale Williams (cq) said.